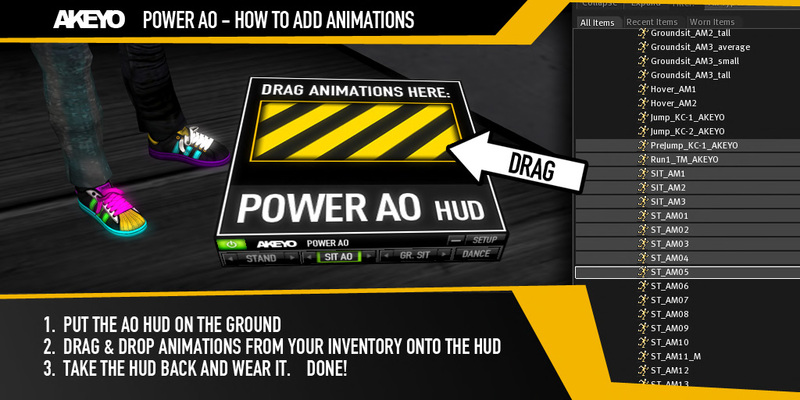 POWER AO - The most easy to use animation overrider in SL. add animations by simply throwing them onto the ao! The PowerAO does automaticaly recognize ANY animation you put into ! No matter where they come from, who created it or what permissions they have. how to use the HUD ? klick HERE to see a overview of the HUD. also you can activate the groundsit or dance mode. in SETUP mode you have full control over your settings and animation assignments. how to add animations ? klick HERE to see a quick instruction about how to add animations. you simply drop the HUD on the ground, drag your animations onto it and then take and wear it again. due to the unique intelligence of the PowerAO you dont need to maintain configuration-notecards. The HUD can recognize all kinds of animations and gives you a chat feedback when it does its recognizing and setup. Its not a bad idea to follow the chat and see if all gets assigned right. Let the HUD do the work until its done, before taking it to your inventory again. In this case Cloud computing means that ALL PowerAO devices in SL do work together and have the same knowledge. that all the PowerAO Huds are using together. Every Animation in SL has a unique ID which can help to identify a animation. So if only ONE PowerAO HUD does learn a animationtype, all other huds do learn it at the same time. Like that, each PowerAO does allways know the most popular assignment of every animation that exist in SL! - This is cloud computing. how can i see / change the HUDâ€�s configuration ? the PowerAO can do all SETUP by itself, but dont worry, you still have full manual control if you like. this will give you a numbered list of ALL animations you have in your HUD. you can simply type the number of a animation in chat and press enter. a dialog menu will pop up and let you assign that one animation to a differnt animationtype. in SETUP you can swtich between sequencial and random choice or select one specific animation. 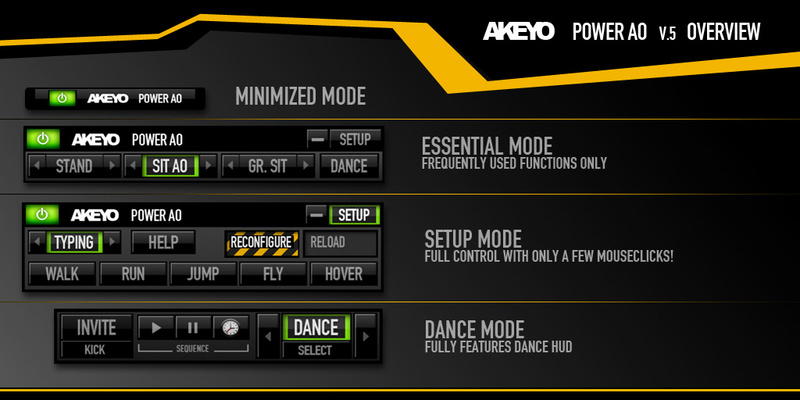 PowerAOâ€�s DANCE Mode offers you a fully featured DANCE interface. or jump to a specific dance animation with the â€�selectâ€� button. In most cases when this happens, people try to add animations while wearing the HUD, which will not work. You need to put the HUD inworld (on the ground) and then drag the animations from your inventory onto it. Also it could happen due to LAG that your client needs a bit until it got the current hudâ€�s contents list. When thats not yet loaded, it will not allow things to be added. just wait a few seconds and try again. Permissions do NOT matter. you can drag ANY animation into the hud. 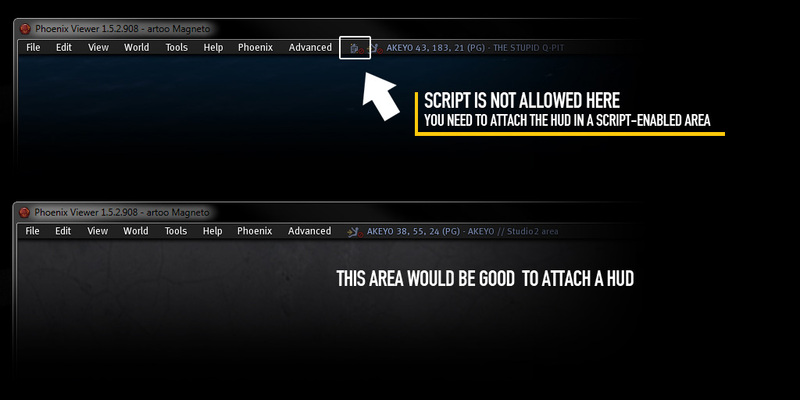 You are likely in a Script-Disabled area, which allows only scripts to run from owners that are in the land-group. In such a area the HUD will continue to work, but can not be operated. If script is allowed but the HUD does not react when you klick on its buttons, that might also be LAG. 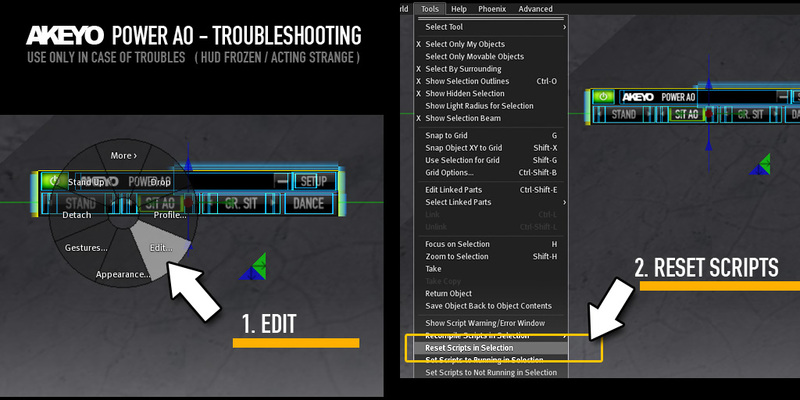 You did accidentaly create a new script in the HUDâ€�s contents. Look in the Huds contents for a script called â€�new scriptâ€� and delete it. you would be supposed to use this new version of the hud instead of the old one. such updates only appear when there have been major improvements. just detach the old one, and wear the new one instead. of course you can also stick with the old version if you realy want..
in that case simply delte the â€�updateclientâ€� script from the hudâ€�s contents.